The perfect board book for babies and toddlers to read with Mom! This book begins with a heartwarming scene between a human parent and child, but moves on to loving care in many animal families. "She listens when I talk," says a mewing kitten. "She tucks me in," says a joey kangaroo. 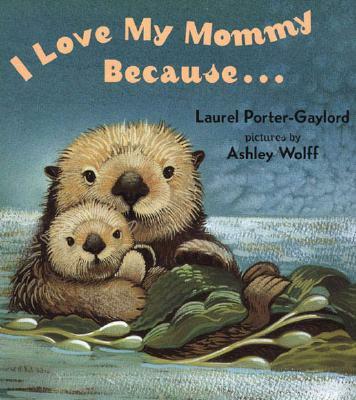 Children will love reading about how baby animals spend time with their moms, and mammas everywhere will love celebrating Mother's Day—or any occassion!—with this adorable gift from their little ones. Laurel Porter-Gaylord is an artist as well as an author. Ashley Wolff is the creator and illustrator of many popular picture books.